As consultants, we understand each project is unique and requires a specific methodology to meet your needs. We design a bespoke action plan for each project and we can deliver the deep dives at an industry-specific level. 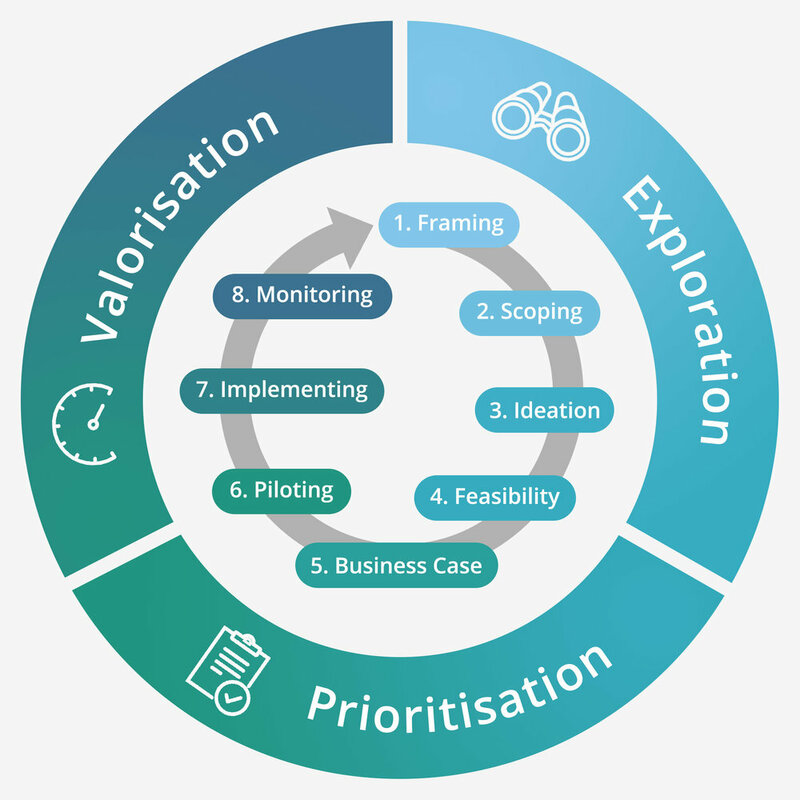 You get the benefit of using consultants who have vision in a wide range of sectors as we provide a full range of circular economy consultancy services. We understand that sustainability and circular economy objectives must also make business sense. That is why we follow a process of transition from good to great. The range of support we offer can be categorised into three areas which are underpinned by the framework for implementing the principles of the circular economy. We work with you to understand the challenges facing your business, the environment in which you operate and possible directions of travel to develop further. We work with you to develop promising business and service concepts, evaluate their commercial potential and prioritise them for testing. We work with you to trial your priority solutions, roll them out and monitor their performance. The circular economy evidence-based projects we deliver are based on the most current knowledge. Activities include workshops and facilitation, market research, and situation validation. Typical activities include technical research, financial and non-financial analysis, and comparative solution studies. Activities include strategy implementation, reporting and monitoring, training, and auditing. The process of moving to a more circular business is iterative, and new technology and innovations allow us to find new opportunities for increased circularity and value creation. If you like the sound of our approach, we'd love to start the dialogue about how we can bring our circular economy expertise to your business.